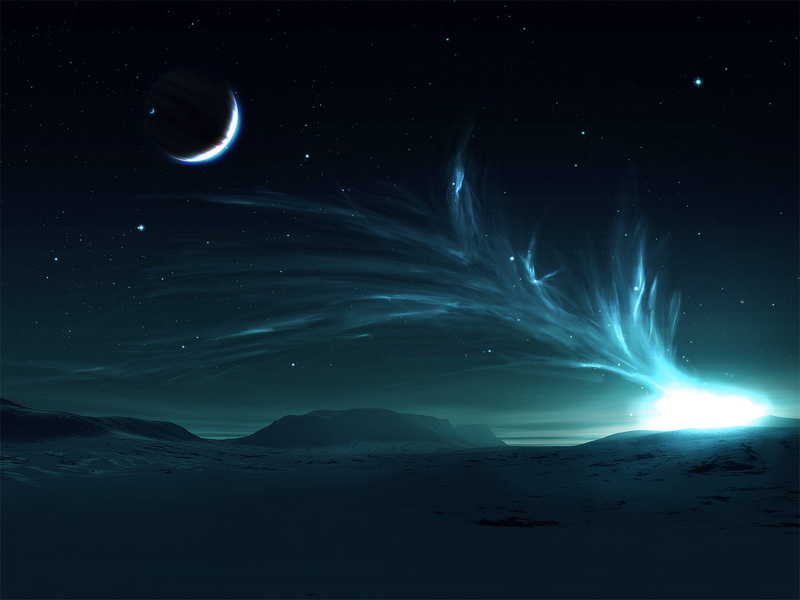 Night upon night I silently dream of the gods in their heavenly home. This night, song of wonder, laden with aching sublime beauty finally tore sound of awe from throat capturing attention of he, glory of glory, unfathomable majesty, his eyes turned to mine. Irises opened to see beyond time, gift of sight blessing of his omnipotent gaze. Seeing my eyes, open, unwavering as I fearlessly accept his gift, knowing that I hear the music of the spheres, he calls for me to join their feast. Gracefully accepting I am drawn effortlessly toward sky. Hair cascades around me adorned with stars, nightgown woven to threaded gown of gold, my skin illuminated from within, I become a jewel of the night. He asks me to dance a celestial turn with he, comet birthed at the joining of our hands, he sets crown wrought from Northern lights atop my glittering head and laughing dances me through the many worlds. My hearts master, my love, cannot from task stray too long and at comets return I with earth reunited yet sacred, rainbow eyed son of mine carries knowledge in his heart gifted from distant father, as I still see across worlds to kiss beloved Rígr and whisper wish to him of steadfast love and task. Inspired by myths and the poem Rígsþula or Rígsmál (“Lay of Ríg”) about the Norse god Heimdallr, known as Rígr when walking the lands. 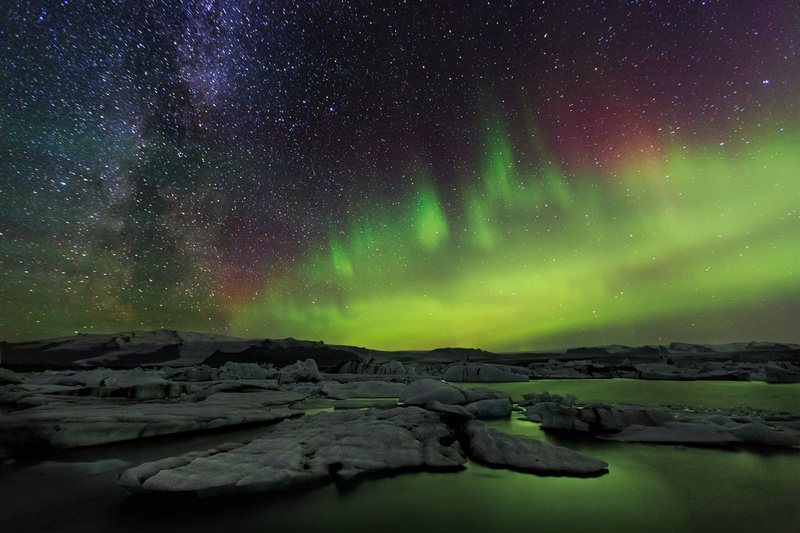 Both images of the Northern lights: Image one Iurie Belegurschi and image two Miriadna. This entry was posted in Petite tales and tagged Fantasy, gods, heavenly gifts, Heimdallr, love, magical union, modern myth, myth, mythical love, Rigr, romance. “Lay of Ríg” Sound interesting. Where did you find it? I did some rather mundane internet searching. Unfortunately my local library doesn’t provide for my eclectic tastes in ancient poetry, verse or history! And this was truly magical. This makes me so happy, both the post, and the fact that you wrote it. Love.